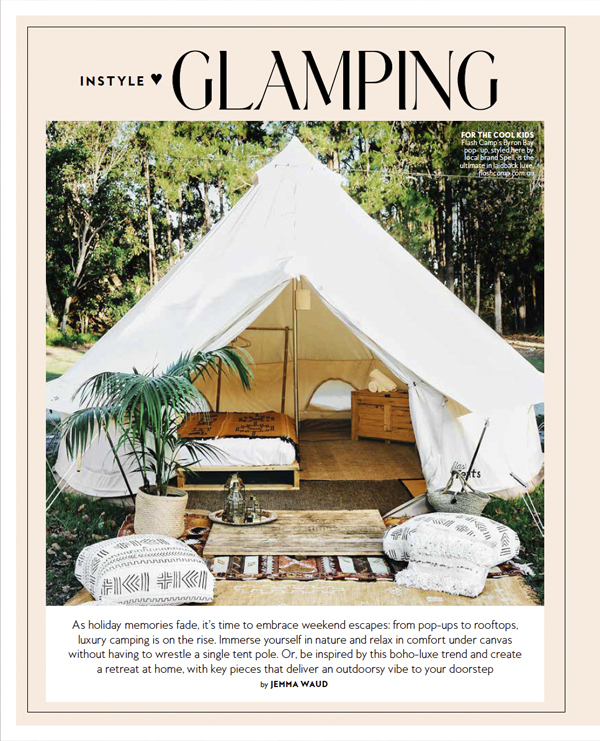 Vienna Woods has collaborated with St. Jerome’s hotel and now they’re in the latest March issue of InStyle magazine! 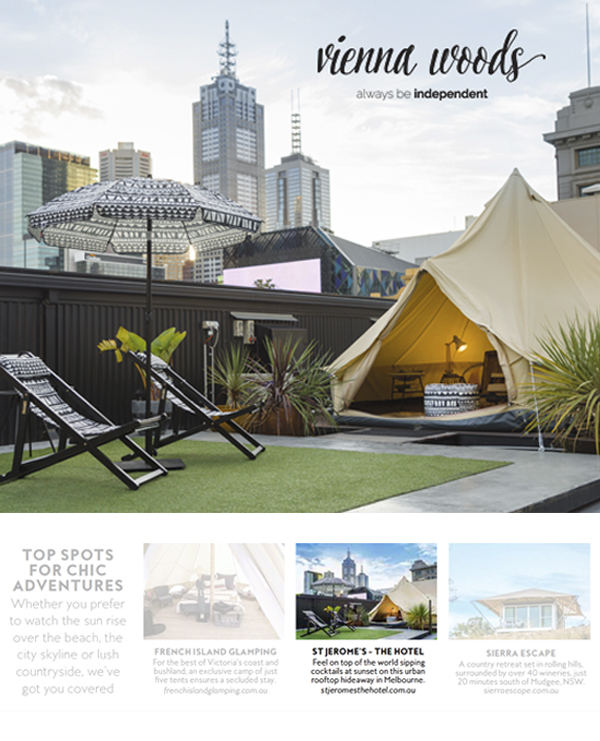 St. Jerome’s hotel is taking luxury camping to the next level in the heart of the Melbourne CBD featuring Vienna Woods products. Check out the article from below for top spots for chic adventures. We are so proud of the Vienna Woods range.